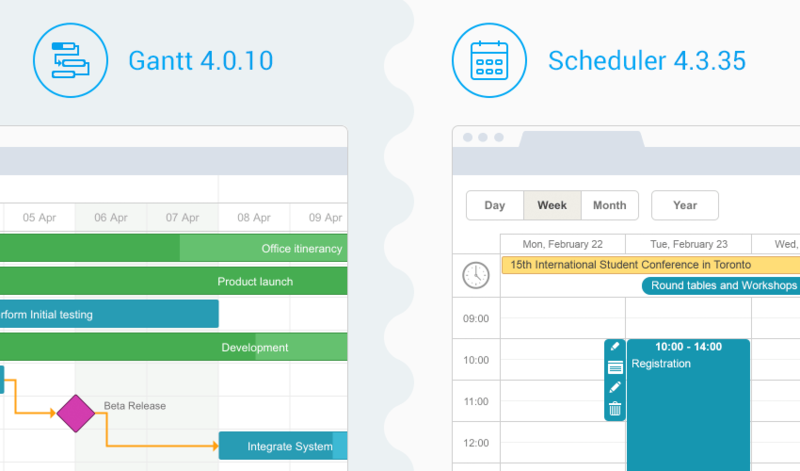 Gantt chart and Scheduler libraries are updated to the most stable versions. Due to your feedback we were able to fix multiple issues and provide these fixes to all our customers. Below you’ll find a full list of fixes and improvements. PRO customers will receive a newsletter from us with the latest version soon (within 24h). In order not to wait, you may login to your cabinet and download the latest version by yourself. If you face any problems with Client’s Area, please report them to support@dhtmlx.com. I cannot download the version 4.0.10 of the Gantt from your site nor from the github repo nor from bower. What’s wrong?